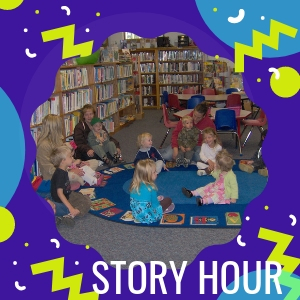 Stories, crafts, and activities follow! A great opportunity to introduce your child to other children and instill a love of reading. Last Tuesday of every month 3:30-4:30 pm. Activities, snack and lots of fun! Enjoy an afterschool snack with friends and make a craft to take home. With parent permission, you can walk to the library with Mrs. Van Calcar, Library Assistant. Meet at the Thorp Elementary lobby after school to leave around 3:20pm. An on-going program to promote reading to newborns, infants, and toddlers and to encourage parent and child bonding through reading. Sign up at the Thorp Public Library. Log the books you read with your child for rewards!